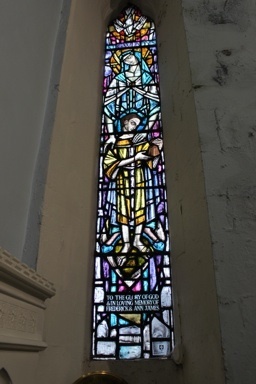 Saint Gwladys ferch Brychan or St Gladys (Latin-Claudia), daughter of King Brychan of Brycheiniog, was the queen of the saint-king Gwynllyw Milwr and the mother of Cadoc “the Wise”, whose life story may be the earliest saint’s life to mention Arthur. Gwladys’ other children were Cynidr, Bugi, Cyfyw, Maches, Glywys II and Egwine. 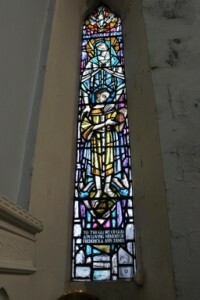 Today her main church and associated school is in Bargoed. More details can be found on Wikipedia.